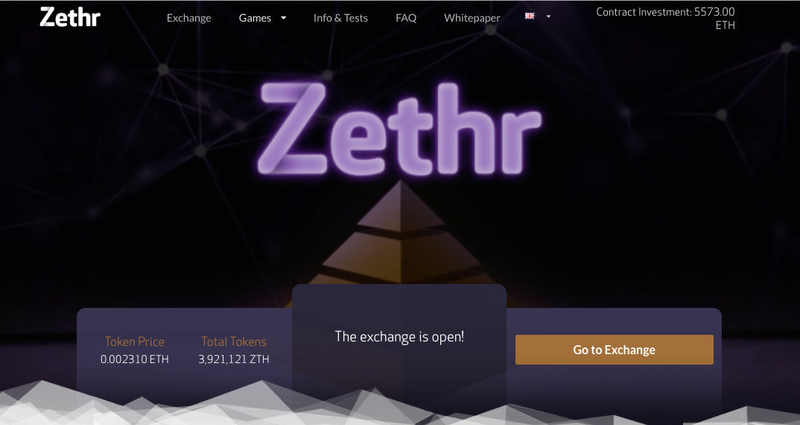 One of the newest and most popular dApps built on the Ethereum Blockchain is called Zethr. It is a decentralized casino platform utilizing the internal ERC-20 Token called “ZTH”. Early investors are rewarded using a dividend system that allows the investor to choose the rate of distributed dividends. Zethr currently features a dice game using the ZTH token as well as a “pot” based game called Zethell. Zethr uses MetaMask to handle the transactions which is easy to use and learn. The developers of Zethr are also planning on adding a slot feature in the near future according to the ZTH Official Discord. Additionally, the Zethr token can be used to wager on the growing number of casino games added to the platform. The ZTH house bankroll will continually reinvest any dividends it receives from holding Zether tokens, which will be distributed proportionally to all ZTH token holders in real-time. After doing some research and reading some mixed reviews, Coinformant.com decided to test the Zethr platform and share the results with our readers. We will not be playing any casino games with the ZTH tokens, as we want to track the earnings of the dividend feature in hopes of generating some passive Ethereum income. 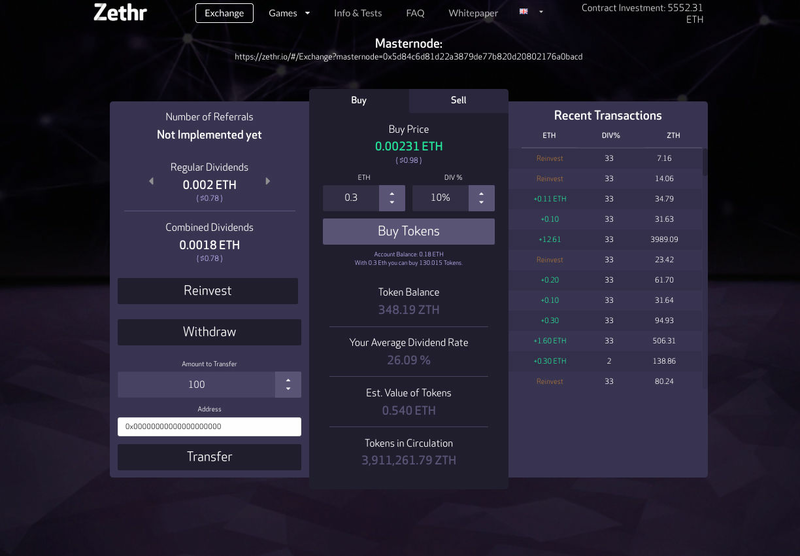 Currently at the time of this writing the contract investment for the Zethr platform is 5,000+ ETH and is growing quickly. Any gambling platform investing can be very risky, but with the current rise in dApps, Coinformant has decided to test popular investment options to help readers earn some passive income. Decentralized apps or “dApps” are growing every day and with the many scams out there we have decided to try some of the most popular ones to share the experience with our readers. As with any investment, you should not invest more than you are willing to lose, ever.